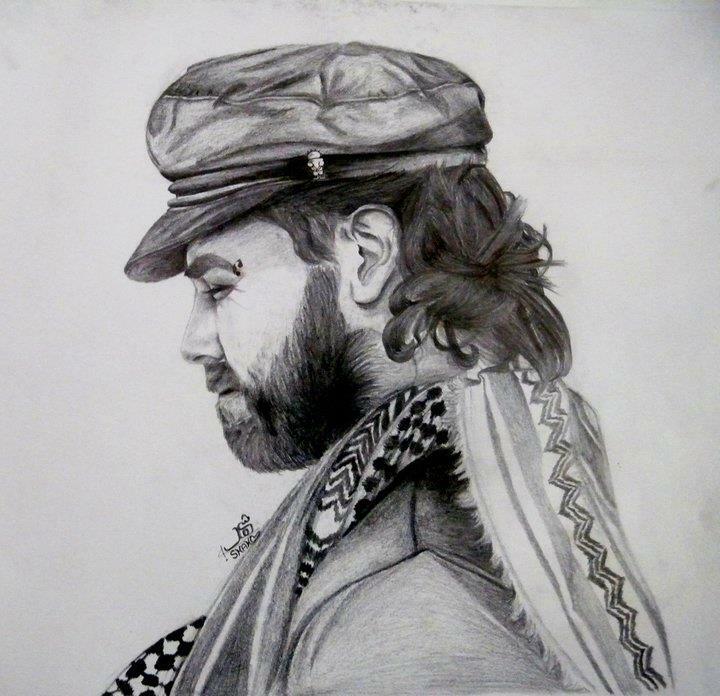 It is ironic that justice has come for Vittorio Arrigoni and his family as we commemorate the anniversary of the Sabra and Shatilla massacre, one of the most atrocious crimes ever committed against us, against anyone. Thirty years have passed since it happened in the Sabra and Shatila refugee camps in Lebanon by a Lebanese Phalangist militia trained, supported, and secured by Israel. The blood spilled in less than three days, the elderly and the babies killed and tossed into rubbish heaps, women raped and brutally killed: the horrors unleashed on a vulnerable village knew no bounds. The memories of this atrocity are too painful to forget and the wounds it left in the Palestinian people’s hearts are just too deep to heal. Justice was done for Vittorio — Vik, we called him — by Hamas, an organization that almost the whole world branded as a ‘terrorist’ organization and opposed when they were democratically elected in 2006. But justice for the thousands of victims of Sabra and Shatilla, a slaughter in which Israel was entirely complicit, has not yet been achieved. And neither has justice for Rachel Corrie, killed in 2003 by a soldier of “the world’s most moral army.” He ran over her body with his Caterpillar bulldozer while demolishing a Palestinian home in Rafah that she gave her life trying to save. Less than a month ago, almost a decade after Rachel’s murder, an Israeli court in Haifa ruled that it was merely an “accident” for which the State should not take responsibility. I decided not to attend the final court hearing for those suspected of killing Vittorio on Monday. I tried it once last April, but it was just too painful to watch the endless procedures mask the horror of the truth people were trying to find. I remember how I sat and shook, bit my nails, bowed my head, and looked at my tears falling on the floor. I remember how intolerably annoying it was to hear the murderers’ voices speaking of morals and respect while they had no shred of morals, respect, or humanity. I remember how I couldn’t bear to remain until the end and escaped the court to express my anger and sorrow at his murder outside. At the time of the verdict, I sat in a cafe hall named after Vittorio Arrigoni, waiting for Adie Mormech, a British activist who was one of Vik’s best friends, to tell me what the court had ruled. He said that Mahmoud Salfiti, 23, and Tamer Hasasna, 25, were sentenced to life imprisonment, plus 10 years of hard labor, for kidnapping and murder, while Khader Ajram, 26, was sentenced to 10 years of imprisonment with hard labor for assisting. The fourth, Amer Abu Ghula, fled Gaza after the killing and was sentenced in absentia to a year of imprisonment for harboring fugitives. I didn’t know how to describe my feelings about the criminals’ sentences. I don’t suspect them to be unjust. But something tells me that this trial only punished the hands behind this crime, not the minds that plotted it. I also believe that with the killing of the Jordanian Abderrahman Breizit and the Salafi Bilal Al-Omary during their shootout with Hamas forces, many facts were buried as well. This trial didn’t answer all our questions and left us still wondering, who benefited? 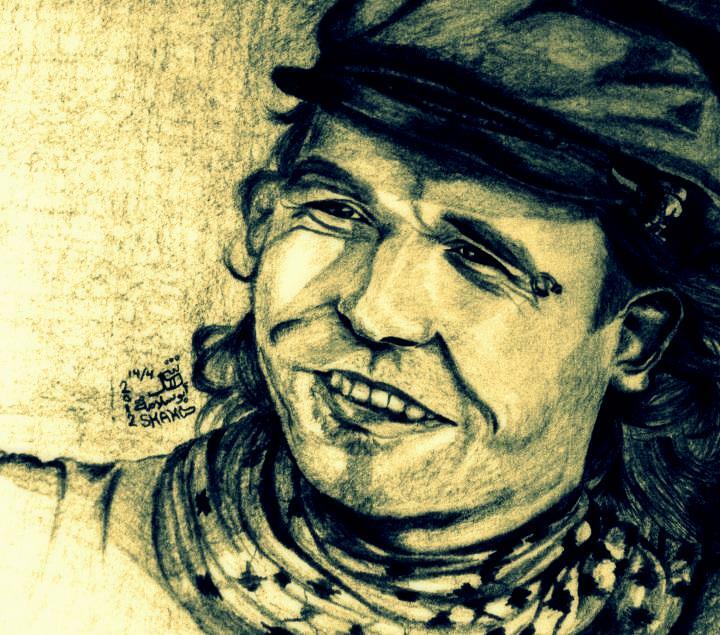 Who had the most to gain from the murder of Vittorio Arrigoni and Juliano Mer Khamis who was killed in Jenin shortly before? Even after the convictions of Vik’s murderers, they can never absorb the grief that his family and friends felt and still feel over his loss. Since his killers sentenced us to live the remainder of our lives without him around, Vittorio’s physical absence has been difficult. I still find it hard to imagine that we will have to continue without his laughs filling the room, without his voice singing, “Unadikum, ashod Ala Ayadikum,” “I call to you all. I take your hands and hold them tightly.” I know it’s been more than a year since he had his last Friday dinner with my family, but no Friday has ever passed without his memories flooding into our minds. His spiritual presence is very strong almost every place I go, especially in our house. I see him in every corner of our home, on the sofas sitting and smoking his pipe while drinking coffee, on the dining table using his unique sense of humor to make us laugh and distract us from eating, even in the street in front where he frequently had football matches with my youngest brother Mohammed and other internationals activists such as Adie and Max Ajl. He also used to chat in the garden with my father about his immense pride in his grandparents who resisted fascism in Italy, a legacy that inspired him to fight the fascist policies of Israel against the Palestinians. My second portrait of Vik in his first anniversary. 1- The article I wrote for Vittorio in his first birthday after his loss reflecting upon his birthday that we celebrated together the year before. 2- The article I wrote five days after his murder. This entry was posted on September 19, 2012 by Shahd Abusalama. It was filed under My Drawings, Reflections and memories and was tagged with Adie Mormech, Apartheid, Art, BDS, Caterpillar, Hamas, Humanity, IDF, IOF, ISM, Israel, Italy, Massacre, Muqawama, Rachel Corrie, Sabra and Shatila, Stay Human, The Israeli army, Unadikum, Vik to Gaza Convoy, Vittorio Arrigoni.